For an unforgettable Italian wedding, we can offer you and your guests a range of holiday houses and villas in some of the most beautiful parts of Italy. No matter which region you prefer, our villa rental for weddings in Italy offers fantastic venues in the most diverse areas: from rustic holiday homes in Tuscany, to idyllic beach villas, to luxurious cottages on Lake Garda (Lago di Garda), Lake Como (Lago di Como) or Lake Maggiore (Lago Maggiore) . We have available exclusive venues with a private pool or traditional Italian retreats – renting holiday villas for a Tuscany wedding promises an idyllic setting for your big Italian wedding. From the marriage ceremony to wedding reception venues to overnight accommodation for family and guests, with our rental options you will surely find the right location to suit your needs. When renting a villa for a wedding in Italy, we look beyond the point and also are on hand to advise on things like transfers, catering, wedding design and much more. If you are looking for a picturesque location overlooking an expanse of water, we recommend a wedding at one of the Italian lakes. With us you can rent elegant villas for your wedding which are right next to the lake itself. This offers a stunning aspect with ample photo opportunities. Whether you have in mind a traditional Italian style villa, a grand cottage or a villa with all mod cons – our portfolio can be adapted to suit all tastes. 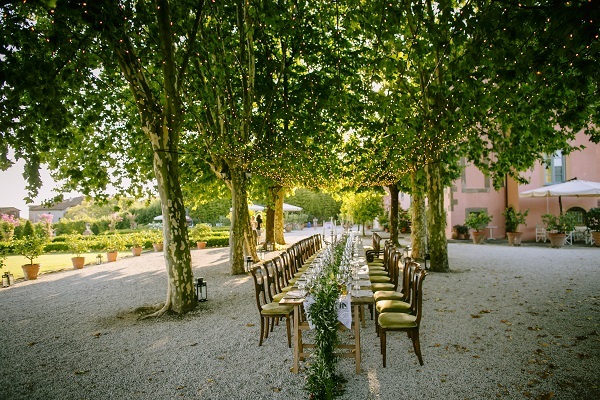 Whether you want to rent a Tuscan cottage or a villa on Lake Como, Lake Garda or Venice we can help, please contact us for further information about rental opportunities for weddings in Italy.